We carry out any administrative tasks that an internal HR department would typically perform, such as the provision of forms for maintaining records, managing holiday entitlement and absence recording as well as all activities related to employment – from recruitment to terminations and exit interviews. 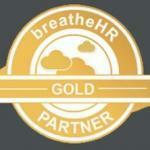 We are a certified gold partner of HR software provider breatheHR and can offer you a simple and effective cloud based employee administration system to manage transactional requirements. If you are considering outsourcing your transactional HR services or would like help setting up your own systems and processes we can help. Tips and advice on how to protect you and your business.